Quick-Step boss Patrick Lefevere is fuming over the negative fallout from the Chris Froome case. CHARTRES, France (VN) — Quick-Step boss Patrick Lefevere is fuming over the negative fallout from the Chris Froome case. The longtime team manager said cycling’s powers-that-be bungled the case from the beginning and left the sport with more egg on its face. The Belgian wasn’t in good spirits about the larger implications for the case, however, and suggested professional cycling will pay collateral damage for what’s yet another blow to the image of the sport. Lefevere said he didn’t know if Froome was guilty or innocent, but said the Sky captain at least deserved his chance to make his case. A media leak in December revealed insider details of a process that, at least under WADA rules, was supposed to remain confidential. 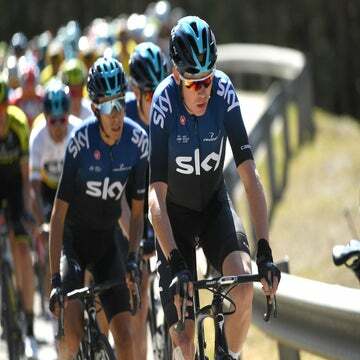 Cycling’s image took a beating as the Froome case played out in the public eye, and Lefevere said too many people were too quick to make up their minds. Just days before the start of the Tour, the UCI under WADA recommendations decided to close the case without sanction. 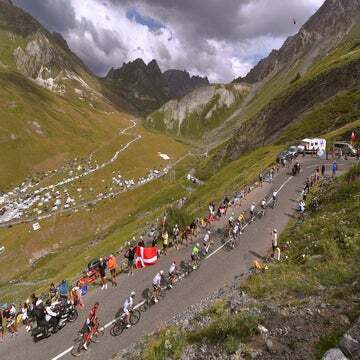 The Froome scandal cast a pall over the Tour, the anti-doping process and delivered another blow to cycling’s already tattered image.